Words like “transparency” and “accountability” get thrown around far too often in American politics — too often because they mean next to nothing. If the average citizen wants to check in on what a particular politician, official or government office is doing, they are at the mercy of those in power to open the doors. 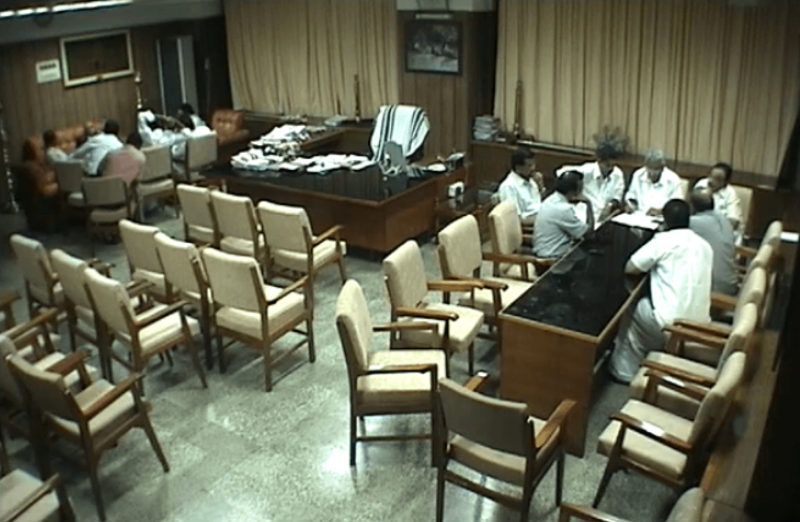 Faced with a similar problem — as well as rampant kickbacks and other such corruption — Oommen Chandy, a top governmental official in India, decided to take drastic action: he installed webcams in his office and chamber, and posted the live feeds online for everyone to see. Mr. Chandy currently works as the chief minister of Kerala state, which holds similar duties to that of an American governor. The video is viewable right on the homepage of the official Kerla stat chief executive website. According to the Times, the video had been viewed a total of about 300,000 times, as of Friday. For comparison, Kerla has a total population of more than 33.3 million people. Alas, it’s doubtful that the presence of the webcam itself will prevent any corruption — at least not in the same way a security camera at a retail store might prevent shoplifting. Instead, the act of installing the webcam serves as a political gesture, which can, in turn, promote an atmosphere of honesty and transparency in government. US President Barack Obama has also made attempts to add transparency to the federal government — though he hasn’t yet go so far as to install a live feed in the Oval Office. The Recovery.gov website, for example, allows citizens to see how the recovery dollars are spent, and also to report any potential fraud, waste or abuse of the funds. Something tells us this won’t easily catch on in the US. But thanks to Mr. Chandy, the idea’s out there, and it’s only a matter of time before the American public begins to demand the true transparency our current technology allows.